What a neat stop!! (I know - what "Greek Isles" stop wouldn't be?!) A long ago volcano has resulted in a HUGE marvelous harbor with this lovely city perched up on the old volcano rim. 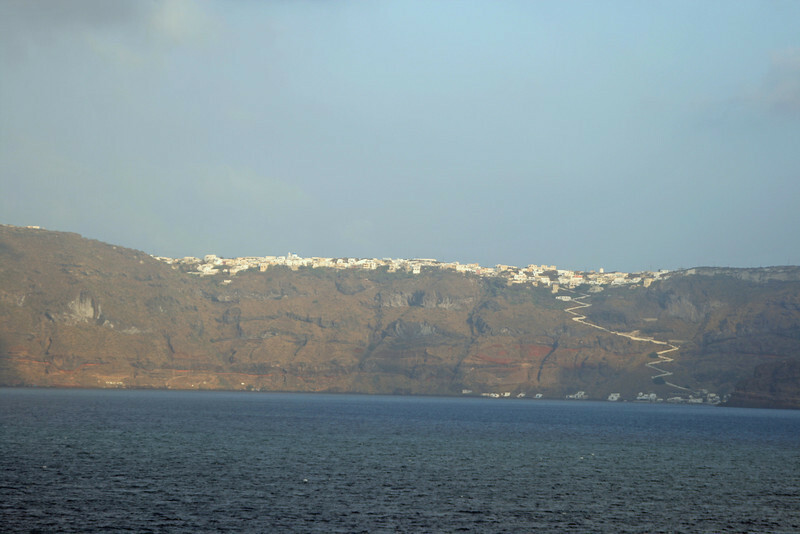 Beautiful views, not only of the harbor, but of some "classic" Greek buildings and scenes!